Majdal Shams is a Druze village that lies at the northern most point of the Golan Heights - a region Israel captured from Syria in the 1967 war and has been occupying ever since. Most of the Syrians that lived in the Golan before '67 escaped when the Israelis took over the land. Majdal Shams - population 10,000 - is one of only four villages whose inhabitants remained in their homes after Israel occupied the region. When Israel annexed the Golan in 1981, the local Druze were offered permanent Israeli citizenship. Most have refused, preferring to stay loyal to Syria. Two months ago I visited the village to prepare a report about the locals' view of the Israeli occupation. As seen in the video below, Majdal Shams residents feel like second class citizens in Israel, but, while most crave to be part of Syria again, there are also those who claim that being under Israeli control is a better option. This week, the relationship between the Golan Druze and Israel took a turn for the worst. On Sunday, Majdal Shames resident, musician Fada Sha'ar, was arrested when he landed in Ben-Gurion International Airport. Sha'ar, 27, is suspected of crimes against state security, including contact with foreign agents. A gag order by an Israeli court was immediately placed on the details of the case and the alleged violation (gag orders have become an often used tool of the Israeli judiciary system; Anat Kam, Omar Said and Amir Makhoul, Mister X). On Sunday eve, Israeli security forces came to Majdal Shams to search the home of the alleged spy. Soon enough, a confrontation broke out between police forces and hundreds of locals who surrounded Sha'ar's home. Riot police was called to the scene, and the standoff nearly erupted into lethal violence. Tear gas was used by the Israeli forces - two people were injured and taken to the hospital - before negotiations between the village elders and the Israeli security forces brought the event to a peaceful ending. The alleged spy's mother, Mona, told Haaretz that police entered the house dressed in civilian clothes. "I did not know they were police, I thought they were repossession people or income tax agents," she said. "I did not know what they were looking for, and I asked them to wait until my husband had returned, or one of the family men, because I was alone in the house with a small boy. But they refused... I know my son, he is a musician and an artist who is trying to progress in his field and has nothing to do with violations of any sort. I am calm and believe that in the end nothing will happen with this." Sha'ar's father Majd, who was not home when the search was carried out, was detained three days later, also on suspicion of involvement in security related offenses. On Wednesday, I spoke with Salman Fakhir of the Al-Marsad (Arab Center for Human Rights in the Golan) about the arrest of his neighbor. 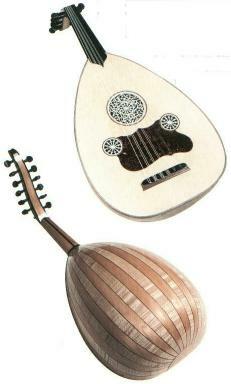 Fakhir said that the alleged spy Fada Sha'ar is a gifted musician who has been playing the oud since he was a child, and had studied the instrument in Cairo under the guidance of oud legend Naseer Shamma. Fakhir mentioned that Sha'ar was arrested as he was coming home for a visit from France, where he is now studying on a music scholarship. Fakhir guessed that the accusations against Sha'ar might be as result of his interactions with Palestinian musicians overseas. Israel captured the Golan Heights at the same time it took over the West Bank and Gaza. Occupying the Golan has proved to be much less of a challenge for Israel than holding on to the Palestinian territories, mainly because the Druze's resistance has not been violent. In fact, while the West Bank is rarely visited by most Israelis, the Druze villages in the Golan are a popular destination for domestic tourism. Recently, Syrian president Bashar Al-Assad offered a peace agreement in return for Israel retreating from the Golan. The Israeli parliament has responded to Assad's calling by passing a bill which states that a public referendum or a special majority of two thirds of the parliament members would be necessary before withdrawal from the Golan (or any other land under Israeli sovereignty). The bill makes it much more politically difficult for any Israeli government to cede territory. Israel's current policy - as shown in my video report - is to continue investing in the development of Jewish settlements and businesses in the Golan. The arrests of Fada and Majed Sha'ar, and the confrontation that followed it - along with another recent altercation following a land dispute between Golan Druze and Israeli authorities - might be signs that Israel's "quiet" occupation is about to get noisier. •	Time Line of the Israeli-Syrian Conflict, NY Times, May 21st 2008. •	Israel and Syria Trading War Threats, ABC News, February 4th 2010. •	Golan Druze Celebrate Across Barbed Wire, BBC, April 18th 2008. •	Naseer Shamma Playing The Oud, Youtube.